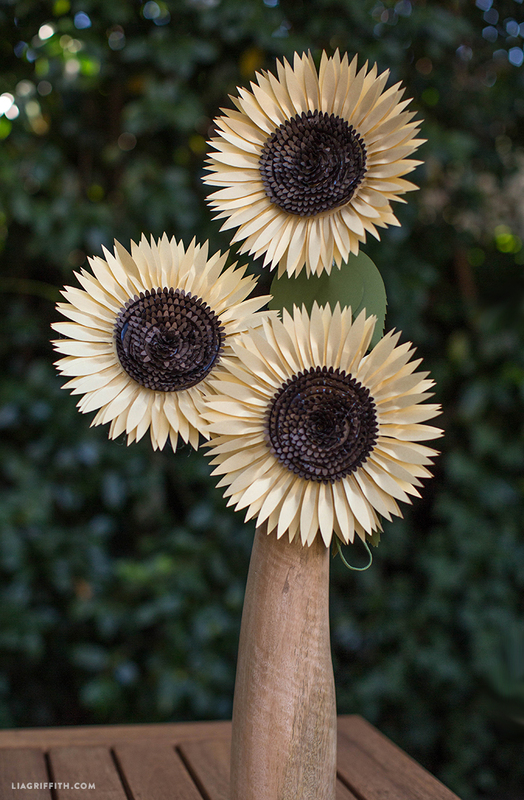 Is there a happier flower than the sunflower? I don’t think so. 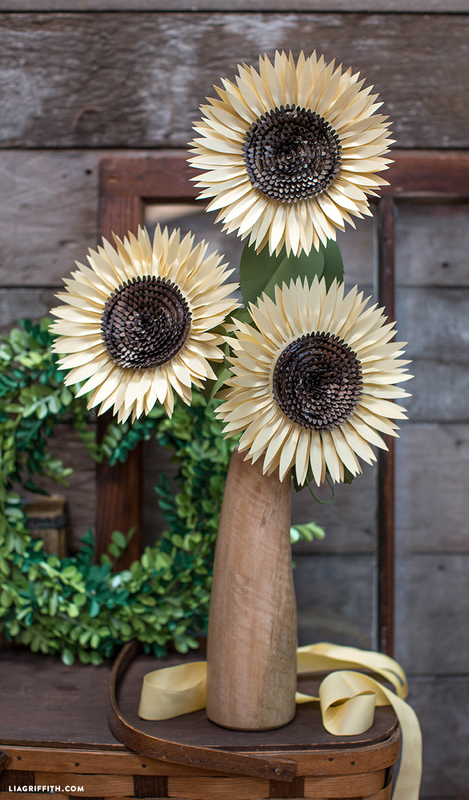 My DIY paper sunflower design is unusual in that it is much bigger and more robust than many of my paper flower patterns. It was a challenge to design a paper flower with such substance; the diameter is as big as my hand yet it has to stand tall on the floral wire! I love using metallic paper for the way it reflects the light and this soft yellow is just delightful with the dark metallic brown. For this flower I used gold, bronze and botanic. 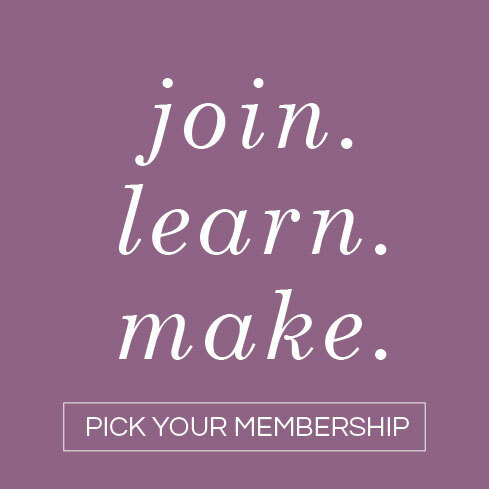 You can cut this with your cutting machine by clicking on the SVG file below, or you can cut by hand using the printable PDF template. 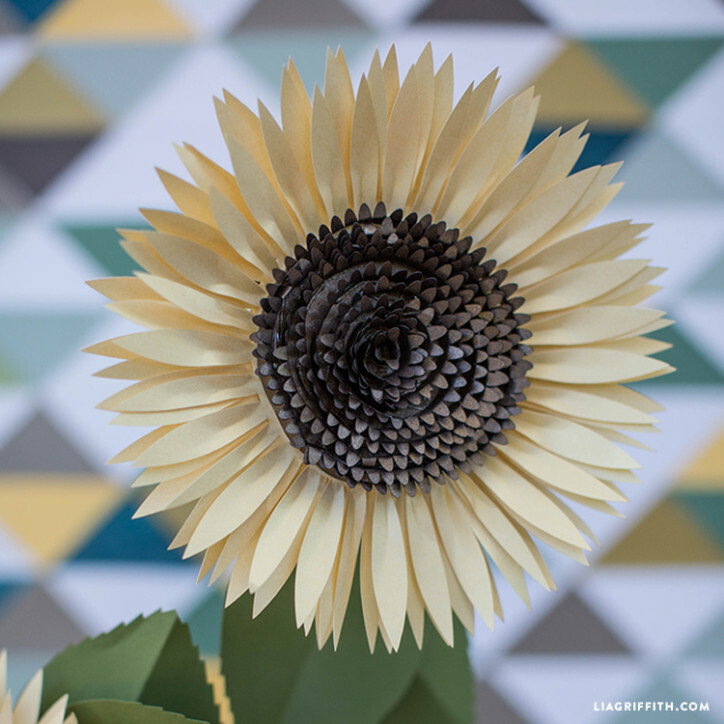 Assemble the paper flower by following my step-by-step tutorial below and you will have yourself a happy little sunflower to look at all year round! Hi. 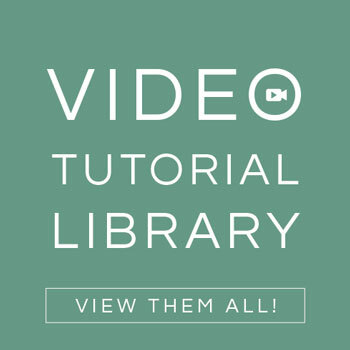 The photo tutorial is not downloading for me. Hi 🙂 These are gorgeous. I can’t wait to try it out! Where do you get the seed strip from? Thanks so much! The center seed strip is included in the SVG file and PDF template. Hi thinking about this sunflower gorgeous! But what size paper do I need, thinking of going to O. D. to print because mine is just you’re average printer but it looks like I may want to update ha ha. Thanks for sharing and the patience you have, to listen to all the comments that request your help, that in itself is a virtue of sharing. at the step 7 you mantion seeds? 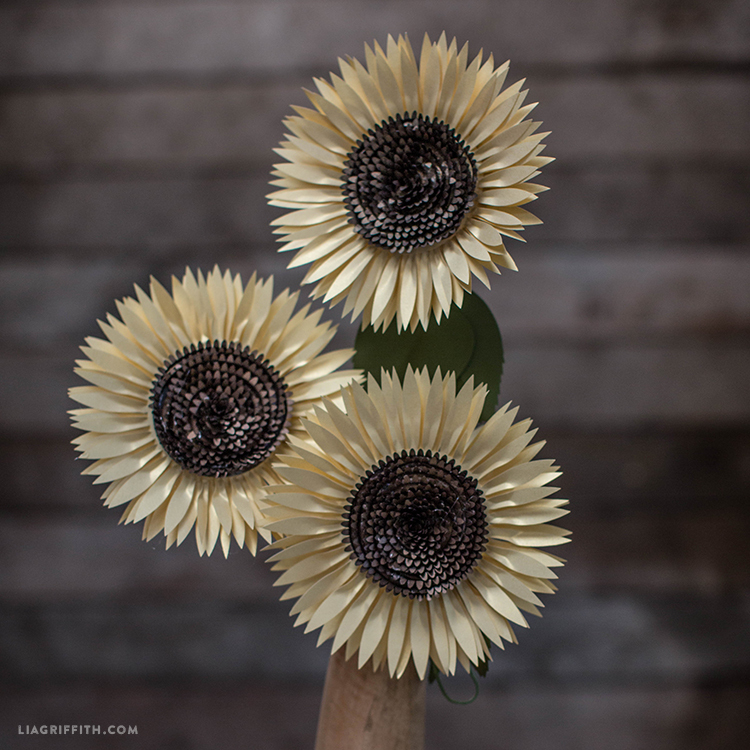 I love your metallic sunflowers Lia! I’m having problems with the paper globbing up and it cuts a hole with ragged edges. What settings should I use. I am fairly new at this and need help!! Hi Karen, the settings just depend on the paper you’re using so do a few test cuts to see how the machine handles the paper. Sometimes I have to dial it up or down a notch or two past the setting it should be on. 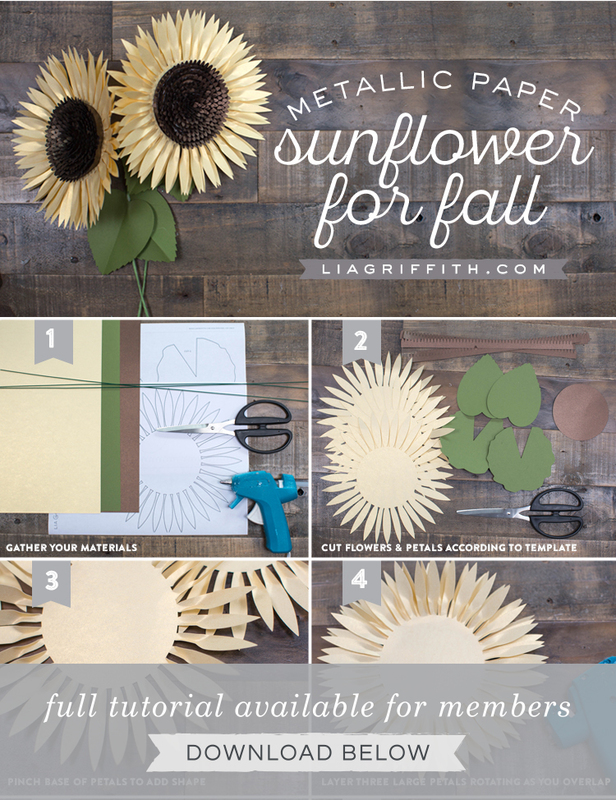 Hi Lia… I will be doing this sunflower for my niece wedding next year… Can you please help me how to connect you template to the cricut cutting machine that i bought? I want to make different sizes as well… Thank you so much for the help… ? Hi! If you have the Explore, you download the SVG file from my post then upload it to Cricut Design Space. 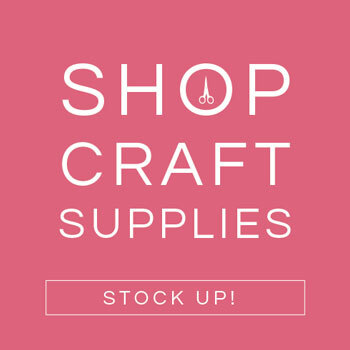 I have a few videos on my YouTube channel (https://www.youtube.com/liagriffith) but Cricut’s customer service can help you if you have more questions specific to using the machine. Where would you get the stems for these? These are so very pretty. But, Lia, I’m still making Spider Mums (which are absolutely gorgeous with the metallic paper from paper-papers) for fall display, not to mention all the other paper flowers I have saved to cut from my Cricut! Seriously though…thank you for making my life of flower-making so very busy and happy! 🙂 Thank you for that comment, it made my day! !